For the 2013 film, see The Book of Esther (film). The Book of Esther, also known in Hebrew as "the Scroll" (Megillah), is a book in the third section (Ketuvim, "Writings") of the Jewish Tanakh (the Hebrew Bible) and in the Christian Old Testament. It relates the story of a Hebrew girl in Persia, born as Hadassah but known as Esther, who becomes queen of Persia and thwarts a genocide of her people. The story forms the core of the Jewish festival of Purim, during which it is read aloud twice: once in the evening and again the following morning. Esther is the only book in the Bible that does not explicitly mention God. The biblical Book of Esther is set in the Persian capital of Susa (Shushan) in the third year of the reign of the Persian king Ahasuerus. The name Ahasuerus is equivalent to Xerxes (both deriving from the Persian Khshayārsha), and Ahasuerus is usually identified in modern sources as Xerxes I, who ruled between 486 and 465 BC, as it is to this monarch that the events described in Esther are thought to fit the most closely. However, classical sources such as Josephus, the Jewish commentary Esther Rabbah and the Christian theologian Bar-Hebraeus, as well as the Greek Septuagint translation of Esther, instead identify Ahasuerus as either Artaxerxes I (reigned 465 to 424 BCE) or Artaxerxes II (reigned 404 to 358 BCE). Assuming that Ahasuerus is indeed Xerxes I, the events described in Esther began around the years 483–482 BCE, and concluded in March 473 BCE. The Book of Esther consists of an introduction (or exposition) in chapters 1 and 2; the main action (complication and resolution) in chapters 3 to 9:19; and a conclusion in 9:20–10:3. The plot is structured around banquets (mishteh), a word that occurs twenty times in Esther and only 24 times in the rest of the Hebrew bible. This is appropriate given that Esther describes the origin of a Jewish feast, the feast of Purim, but Purim itself is not the subject and no individual feast in the book is commemorated by Purim. The book's theme, rather, is the reversal of destiny through a sudden and unexpected turn of events: the Jews seem destined to be destroyed, but instead are saved. In literary criticism such a reversal is termed "peripety", and while on one level its use in Esther is simply a literary or aesthetic device, on another it is structural to the author's theme, suggesting that the power of God is at work behind human events. The story begins with Ahasuerus, ruler of the Persian Empire, holding a lavish banquet, initially for his court and dignitaries and afterwards for all inhabitants of the capital city, Shushan. On the seventh day, Ahasuerus orders the queen, Vashti, to come and display her beauty before the guests by wearing only her crown. She refuses. Furious, Ahasuerus has her removed from her position and makes arrangements to choose a new queen from a selection of beautiful young women from throughout the empire. One of these is the Jewish orphan, Esther. After the death of her parents, she was fostered by her cousin, Mordecai. She finds favour in the King's eyes, and is crowned his new queen. Shortly afterwards, Mordecai discovers a plot by two courtiers, Bigthan and Teresh, to assassinate Ahasuerus. The conspirators are apprehended and hanged, and Mordecai's service to the King is duly recorded. Ahasuerus appoints Haman as his viceroy. Mordecai, who sits at the palace gates, falls into Haman's disfavour, as he refuses to bow down to him. Having discovered that Mordecai is Jewish, Haman plans to kill not just Mordecai, but all the Jews in the empire. He duly obtains Ahasuerus' permission to execute this plan, against payment of ten thousand talents of silver, and casts lots to choose the date on which to do this—the thirteenth of the month of Adar. When Mordecai finds out about the plan, he implores Esther to try and intercede with the King; but she is afraid to break the law and present herself to the King unsummoned, as this was punishable by death. She orders Mordecai to have all Jews fast for three days together with her, and on the third day she goes to Ahasuerus, who stretches out his sceptre to her to indicate that she is not to be punished. She invites him to a feast in the company of Haman. During the feast, she asks them to attend a further feast the next evening. Meanwhile, Haman is again offended by Mordecai and, at his wife's suggestion, has a gallows built to hang him. That night, King Ahasuerus suffers insomnia, and when he orders the court records be read to him in order to help him sleep, he is reminded of the services rendered by Mordecai in the previous plot against his life. Ahasuerus is informed that Mordecai never received any recognition for this. Just then, Haman appears, to request the King's permission to hang Mordecai, but before he can make this request, King Ahasuerus asks Haman what should be done for the man that the King wishes to honor. Assuming that the man that the King is referring to is himself, Haman suggests that the man be dressed in the King's royal robes and led around on the King's royal horse, while a herald calls: "See how the King honours a man he wishes to reward!" To his surprise and horror, the King instructs Haman to do so to Mordecai. Immediately after, Ahasuerus and Haman attend Esther's second banquet, at which she reveals that she is Jewish and that Haman is planning to exterminate her people, including her. Overcome by rage, Ahasuerus leaves the room; meanwhile Haman stays behind and begs Esther for his life, falling upon her in desperation. The King returns in at this very moment and thinks Haman is assaulting the queen; this makes him angrier than before and he orders Haman hanged on the gallows that Haman had prepared for Mordecai. Instead of annulling the decree, the King reverses it, permitting the Jews to attack their enemies. On 13 Adar, 500 men and Haman's ten sons are killed in Shushan. Upon hearing of this Esther requests it be repeated the next day, whereupon 300 more men are killed. In total, 75,000 Persians are slaughtered by the Jews, who take no plunder. Esther sends a letter instituting an annual commemoration of the Jewish people's redemption, in a holiday called Purim (lots). Ahasuerus remains very powerful and continues his reign, with Mordecai assuming a prominent position in his court. 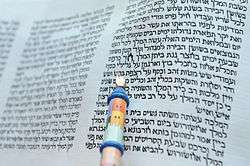 The Megillat Esther (Book of Esther) became the last of the 24 books of the Tanakh to be canonized by the Sages of the Great Assembly. According to the Talmud, it was a redaction by the Great Assembly of an original text by Mordecai. It is usually dated to the 4th century BCE. Shemaryahu Talmon, however, suggests that "the traditional setting of the book in the days of Xerxes I cannot be wide off the mark." Several Aramaic targums of Esther were produced in the Middle Ages of which two survive – the Targum Rishon ("First Targum") and Targum Sheni ("Second Targum") dated c. 500–1000 CE. These were not targums ("translations") in the true sense but like the Greek Esther are retellings of events and include additional legends relating to Purim. There is also a 16th-century recension of the Targum Rishon, sometimes counted as Targum Shelishi ("Third Targum"). As noted by biblical scholar Michael D. Coogan, the book contains specific details regarding certain subject matter (for example, Persian rule) which are historically inaccurate. For example, Coogan discusses an apparent inaccuracy regarding the age of Esther's cousin (or, according to others, uncle) Mordecai. In Esther 2:5–6, either Mordecai or his great-grandfather Kish is identified as having been exiled from Jerusalem to Babylon by King Nebuchadnezzar II in 597 BCE: "Mordecai son of Jair, the son of Shimei, the son of Kish, who had been carried into exile from Jerusalem by Nebuchadnezzar king of Babylon, among those taken captive with Jeconiah king of Judah". If this refers to Mordecai, he would have had to live over a century to have witnessed the events described in the Book of Esther. However, the verse may be read as referring not to Mordecai's exile to Babylon, but to his great-grandfather Kish's exile. In her article "The Book of Esther and Ancient Storytelling", biblical scholar Adele Berlin discusses the reasoning behind scholarly concern about the historicity of Esther. Much of this debate relates to the importance of distinguishing history and fiction within biblical texts, as Berlin argues, in order to gain a more accurate understanding of the history of the Israelite people. Berlin quotes a series of scholars who suggest that the author of Esther did not mean for the book to be considered as a historical writing, but intentionally wrote it to be a historical novella. The genre of novellas under which Esther falls was common during both the Persian and Hellenistic periods to which scholars have dated the book of Esther. There are certain elements of the book of Esther that are historically accurate. The story told in the book of Esther takes place during the rule of Ahasuerus, who has been identified as the 5th-century Persian king Xerxes I (reigned 486–465 BCE). The author also displays an accurate knowledge of Persian customs and palaces. However, according to Coogan, considerable historical inaccuracies remain throughout the text, supporting the view that the book of Esther is to be read as a historical novella which tells a story describing historical events but is not necessarily historical fact. Edwin M. Yamauchi has questioned the reliability of other historical sources, such as Herodotus, to which Esther has been compared. Yamauchi wrote, "[Herodotus] was, however, the victim of unreliable informants and was not infallible." The reason for questioning the historical accuracy of such ancient writers as Herodotus is that he is one of the primary sources of knowledge for this time period, and it has been frequently assumed that his account may be more accurate than Esther's account. Those arguing in favour of an historical reading of Esther most commonly identify Ahasuerus with Artaxerxes II (ruled 405–359 BCE), although in the past it was often assumed that he was Xerxes I (ruled 486–465 BCE). The Hebrew Ahasuerus (ʔaḥašwērōš) is most likely derived from Persian Xšayārša, the origin of the Greek Xerxes. The Greek historian Herodotus wrote that Xerxes sought his harem after being defeated in the Greco-Persian Wars. He makes no reference to individual members of the harem except for a domineering Queen consort named Amestris, whose father, Otanes, was one of Xerxes's generals. (In contrast, the Greek historian Ctesias refers to a similar father-in-law/general figure named Onaphas.) Amestris has often been identified with Vashti, but this identification is problematic, as Amestris remained a powerful figure well into the reign of her son, Artaxerxes I, whereas Vashti is portrayed as dismissed in the early part of Xerxes's reign. Alternative attempts have been made to identify her with Esther, although Esther is an orphan whose father was a Jew named Abihail. As for the identity of Mordecai, the similar names Marduka and Marduku have been found as the name of officials in the Persian court in over thirty texts from the period of Xerxes I and his father Darius I, and may refer to up to four individuals, one of which might after all be Mordecai. The "Old Greek" Septuagint version of Esther translates the name Ahasuerus as Artaxerxes, a Greek name derived from the Persian Artaxšaϑra. Josephus too relates that this was the name by which he was known to the Greeks, and the Midrashic text, Esther Rabba also makes the identification. Bar-Hebraeus identified Ahasuerus explicitly as Artaxerxes II; however, the names are not necessarily equivalent: Hebrew has a form of the name Artaxerxes distinct from Ahasuerus, and a direct Greek rendering of Ahasuerus is used by both Josephus and the Septuagint for occurrences of the name outside the Book of Esther. Instead, the Hebrew name Ahasuerus accords with an inscription of the time that notes that Artaxerxes II was named also Aršu, understood as a shortening of Aḫšiyaršu the Babylonian rendering of the Persian Xšayārša (Xerxes), through which the Hebrew ʔaḥašwērōš (Ahasuerus) is derived. Ctesias related that Artaxerxes II was also called Arsicas which is understood as a similar shortening with the Persian suffix -ke that is applied to shortened names. Deinon related that Artaxerxes II was also called Oarses which is also understood to be derived from Xšayārša. Another view attempts to identify him instead with Artaxerxes I (ruled 465–424 BCE), whose Babylonian concubine, Kosmartydene, was the mother of his son Darius II (ruled 424–405 BCE). Jewish tradition relates that Esther was the mother of a King Darius and so some try to identify Ahasuerus with Artaxerxes I and Esther with Kosmartydene. Based on the view that the Ahasuerus of the Book of Tobit is identical with that of the Book of Esther, some have also identified him as Nebuchadnezzar's ally Cyaxares (ruled 625–585 BCE). In certain manuscripts of Tobit, the former is called Achiachar, which, like the Greek Cyaxares, is thought to be derived from Persian Huwaxšaϑra. Depending on the interpretation of Esther 2:5–6, Mordecai or his great-grandfather Kish was carried away from Jerusalem with Jeconiah by Nebuchadnezzar, in 597 BCE. The view that it was Mordecai would be consistent with the identification of Ahasuerus with Cyaxares. Identifications with other Persian monarchs have also been suggested. Christine Hayes contrasts the Book of Esther with apocalyptic writings, the Book of Daniel in particular: both Esther and Daniel depict an existential threat to the Jewish people, but while Daniel commends the Jews to wait faithfully for God to resolve the crisis, in Esther the crisis is resolved entirely through human action and national solidarity. God, in fact, is not mentioned, Esther is portrayed as assimilated to Persian culture, and Jewish identity in the book is an ethnic category rather than a religious one. An additional six chapters appear interspersed in Esther in the Septuagint, the Greek translation of the Bible. This was noted by Jerome in compiling the Latin Vulgate. Additionally, the Greek text contains many small changes in the meaning of the main text. Jerome recognized the former as additions not present in the Hebrew Text and placed them at the end of his Latin translation as chapters 10:4–16:24. This placement and numbering system is used in Catholic Bible translations based primarily on the Vulgate, such as the Douay–Rheims Bible and the Knox Bible. In contrast, the 1979 revision of the Vulgate, the Nova Vulgata, incorporates the additions to Esther directly into the narrative itself, as do most modern Catholic English translations based on the original Hebrew and Greek (e.g., Revised Standard Version Catholic Edition, New American Bible, New Revised Standard Version Catholic Edition). The numbering system for the additions differs with each translation. 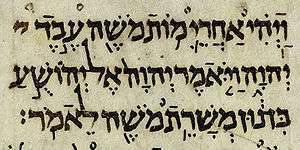 The Nova Vulgata accounts for the additional verses by numbering them as extensions of the verses immediately following or preceding them (e.g., Esther 11:2–12 in the old Vulgate becomes Esther 1:1a–1k in the Nova Vulgata), while the NAB and its successor, the NABRE, assign letters of the alphabet as chapter headings for the additions (e.g., Esther 11:2–12:6 in the Vulgate becomes Esther A:1–17). The RSVCE and the NRSVCE place the additional material into the narrative, but retain the chapter and verse numbering of the old Vulgate. By the time Esther was written, the foreign power visible on the horizon as a future threat to Judah was the Macedonians of Alexander the Great, who defeated the Persian empire about 150 years after the time of the story of Esther; the Septuagint version noticeably calls Haman a "Bougaion" (βουγαῖον) where the Hebrew text describes him as an Agagite. The canonicity of these Greek additions has been a subject of scholarly disagreement practically since their first appearance in the Septuagint— Martin Luther, being perhaps the most vocal Reformation-era critic of the work, considered even the original Hebrew version to be of very doubtful value. Luther's complaints against the book carried past the point of scholarly critique and may reflect Luther's antisemitism, which is disputed, such as in the biography of Luther by Derek Wilson, which points out that Luther's anger at the Jews was not at their race but at their theology. The Council of Trent, the summation of the Roman Catholic Counter-Reformation, reconfirmed the entire book, both Hebrew text and Greek additions, as canonical. The Book of Esther is used twice in commonly used sections of the Catholic Lectionary. In both cases, the text used is not only taken from a Greek addition, the readings also are the prayer of Mordecai, and nothing of Esther's own words is ever used. The Eastern Orthodox Church uses the Septuagint version of Esther, as it does for all of the Old Testament. The additions are specifically listed in the Thirty-Nine Articles, Article VI, of the Church of England: "The rest of the Book of Esther". The Italian Renaissance poet Lucrezia Tornabuoni chose Esther as one of biblical figures on which she wrote poetry. In 1689, Jean Baptiste Racine wrote Esther, a tragedy, at the request of Louis XIV's wife, Françoise d'Aubigné, marquise de Maintenon. In 1718, Handel wrote the oratorio Esther based on Racine's play. In 1958, a book entitled Behold Your Queen! was written by Gladys Malvern and illustrated by her sister, Corinne Malvern. It was chosen as a selection of the Junior Literary Guild. The play entitled Esther (1960), written by Welsh dramatist Saunders Lewis, is a retelling of the story in Welsh. A movie about the story, Esther and the King. A 1978 miniseries entitled The Greatest Heroes of the Bible starred Victoria Principal as Esther, Robert Mandan as Xerxes, and Michael Ansara as Haman. Episode 25 of the 1981 anime series Superbook involves this story. The 1983 musical entitled Swan Esther was written by J. Edward Oliver and Nick Munns and released as a concept album with Stephanie Lawrence and Denis Quilley. Swan Esther has been performed by the Young Vic, a national tour produced by Bill Kenwright and some amateur groups. A 1986 Israeli film directed by Amos Gitai entitled Esther. In 1992, a 30-minute, fully animated video, twelfth in Hanna-Barbera's The Greatest Adventure series, titled Queen Esther features the voices of Helen Slater as Queen Esther, Dean Jones as King Ahasuerus, Werner Klemperer as Haman, and Ron Rifkin as Mordecai. A 1999 TV movie from the Bible Collection that follows the biblical account very closely, Esther, starred Louise Lombard in the title role and F. Murray Abraham as Mordecai. In 2000, VeggieTales released "Esther... The Girl Who Became Queen". Chosen: The Lost Diaries of Queen Esther by Ginger Garrett. 2005, NavPress. A 2006 movie about Esther and Ahasuerus, entitled One Night with the King, stars Tiffany Dupont and Luke Goss. It was based on the novel Hadassah: One Night with the King by Tommy Tenney and Mark Andrew Olsen. Esther is one of the five heroines of the Order of the Eastern Star. On March 8, 2011, the Maccabeats released a music video called "Purim Song". The Book of Esther is a 2013 movie starring Jen Lilley as Queen Esther and Joel Smallbone as King Xerxes. In 2012, a graphic adaptation of the Book of Esther was illustrated by J. T. Waldman and appeared in volume one of The Graphic Canon, edited by Russ Kick and published by Seven Stories Press. ↑ Rossel, Seymour (2007). The Torah: Portion by Portion. Los Angeles: Torah Aura Productions. p. 212. ISBN 978-1-891662-94-2. Retrieved 13 October 2013. ↑ David R. Blumenthal. "WHERE GOD IS NOT: THE BOOK OF ESTHER AND SONG OF SONGS". Retrieved April 19, 2016. 1 2 Baumgarten, Albert I.; Sperling, S. David; Sabar, Shalom (2007). Skolnik, Fred; Berenbaum, Michael, eds. Encyclopaedia Judaica. 18 (2nd ed.). Farmington Hills, MI: Macmillan Reference USA. p. 216. 1 2 Larkin, Katrina J. A. (1996). Ruth and Esther (Old Testament Guides). Sheffield, UK: Sheffield Academic Press. p. 71. ↑ Crawford, Sidnie White (1998). "Esther". In Newsom, Carol A.; Ringe, Sharon H. Women's Bible Commentary. Louisville: Westminster John Knox. p. 202. ↑ Moore, Carey A. (1971). Esther (Anchor Bible). Garden City, NY: Doubleday. p. XXXV. ↑ Clines 1984, p. 9. ↑ Jobes 2011, p. 40-41. ↑ Berlin, Adele; Brettler, Marc Zvi; Fishbane, Michael, eds. (2004). The Jewish Study Bible. Oxford University Press. p. 1625. ISBN 978-0195297515. 1 2 3 4 5 6 Coogan, Michael David Coogan, A Brief Introduction to the Old Testament: The Hebrew Bible in Its Context (New York: Oxford University Press, 2009), 396. 1 2 Sidnie White Crawford, "Esther", in The New Interpreters Study Bible New Revised Standard Version with the Apocrypha, ed. Walter J. Harrison and Donald Senior (Nashville: Abingdon Press, 2003), 689–690. 1 2 Adele Berlin, "The Book of Esther and Ancient Storytelling", Journal of Biblical Literature 120. no. 1 (Spring 2001): 3–14. ↑ Adele Berlin, “The Book of Esther and Ancient Storytelling", Journal of Biblical Literature 120. no. 1 (Spring 2001): 6. ↑ "The archaeological background of Esther: archaeological backgrounds of the exilic and postexilic era, pt 2". Bibliotheca sacra 137, no. 546 (1980), 102. ↑ Hayes, Christine (2006). "Introduction to the Old Testament (Hebrew Bible) — Lecture 24 — Alternative Visions: Esther, Ruth, and Jonah". Open Yale Courses. Yale University. ↑ Article VI: Of the sufficiency of the Holy Scriptures for Salvation Archived November 10, 2007, at the Wayback Machine. ↑ Robin, Larsen and Levin. Encyclopedia of women in the Renaissance: Italy, France, and England. p. 368. ↑ Books of the Bible Christian Bookstore. "I Have A Song – Shannon Wexelberg". ↑ "The Internet Antique Shop – The Web's largest antiques & collectibles mall serving collectors since 1995". ↑ Tania B (5 November 2000). "Esther". IMDb. ↑ "The Maccabeats – Purim Song". YouTube. Retrieved 2011-08-09. ↑ "The Book of Esther (2013)". IMDb. 11 June 2013. Hazony, Yoram. God and Politics in Esther. Cambridge: Cambridge University Press, 2016. "Esther, Book of". New International Encyclopedia. 1905. "Esther, Apocryphal Book of". New International Encyclopedia. 1905. Wikimedia Commons has media related to Book of Esther.